Bogo is now preparing for the upcoming Fiesta 2011 in honor of its patron Saint Vincent Ferrer whom Bogohanons and people around the world attributed many miracles. One of the latest event that Bogohanons were asking for St. Vincent Ferrer's intercession was the cityhood case of Bogo that went on a roller coaster ride. Every year, Bogo celebrates 2 fiestas for the patron saint. One is every April 5 which is the official feast day of St. Vincent Ferrer. In this fiesta, many pilgrims around the world will come to venerate the patron. Almost all activities in this fiesta are religious activities only. The 2nd fiesta which is considered the biggest is celebrated every May 27. The 2nd fiesta has the most number of visitors and events. One of the main event for the May 2011 fiesta is the 1st search for BOGO FESTIVAL QUEEN. This is more or less similar for the pasts Ms. Bogo pageant but with more emphasis on Bogo's culture. One of the known delicacies of Bogo is Pintos. And so the Pintos Festival was born. 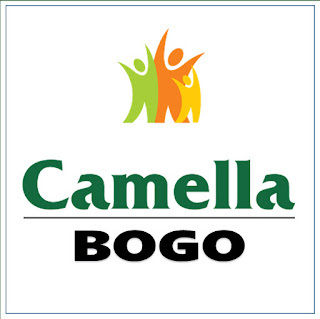 Pintos Festival is now the official festival of Bogo. The Search for BOGO FESTIVAL QUEEN 2011 is scheduled on May 27, 2011 at the Don Celestino Martinez Sr. Sports and Cultural Center at Taytayan, Bogo City, Cebu. 12 beautiful Bogohanons with age ranging from 19 to 23 is vying for the title. Last April 25 and 26, the candidates were having their photoshoot at Tugbungan Eco-Park, Gairan, Bogo City and Capitancillo Islet, Bogo City, Cebu.